Few things are as quintessentially English as afternoon tea. Luckily, if you are in need of your tea and cake fix, Leeds isn't in short supply of places for a bit of indulgence. 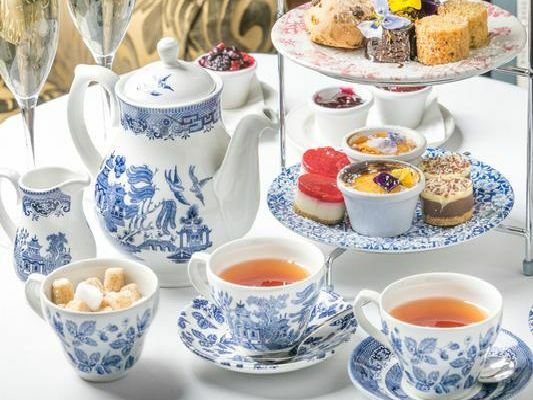 If you aren't sure where to head first, here are some of the best afternoon teas on offer around the city and how much they cost. Enjoy a slice of nostalgia at this vintage tearoom, where home baking, tea drinking and good old fashioned service reign supreme. Afternoon teas include the traditional, gentleman's and one with fizz, priced from 11.50 per person. Afternoon tea at this ultra glamorous hotel comprises a tempting array of sweet and savoury items, including finger sandwiches, freshly baked scones and delicate petit fours. At 20 per person, it can be enjoyed with unlimited tea. Priced from 18.95, diners can tuck into a lavish affair of finger sandwiches, including cucumber, egg mayonnaise, smoked salmon and brie, followed by homemade cakes, mini desserts and warm scones, served with a variety of teas. This grand mansion treats diners to an array of tasty sandwiches, cakes and fancies, finished off with freshly baked fruit scones, loaded with jam and clotted cream. Afternoon tea for two is priced at 38 pounds and served from 12pm.